Guardians of the Galaxy Vol. 3 Release Date 2020 | Nerd Much? "The story of this group ends with Vol. 3." Nothing else was said to elaborate, but more information can be found in the Facebook Q&A. 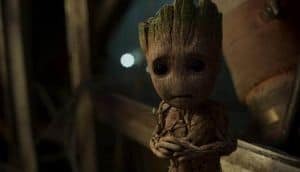 First, Gunn confirmed that he would be directing the third film with the same team. As to Vol. 3 in particular, Gunn did discuss the possibility that Nova might be a part of the movie. Nova, also known as Richard Rider, is a member of the Nova Corps. Bestowed with the powers of a Nova Centurion, Nova works to fight off various villains such as Powerhouse, Diamondhead, and the Sphinx. In the comic books he is seen teaming up with Thor and Spider-Man on occasion, but normally stars in his own series. Other characters are certainly forthcoming, but Gunn doesn’t mention who else it will be. He only says that “we’re going to be setting up new characters” and that Vol. 3 will help set up set up the next 10-20 years of Marvel movies. A rather grand statement, but Guardians of the Galaxy has always been a series set so far in the future that the other superhero movies really have to work to catch up. That said, Avengers: Infinity War marks the resolution of at least one story line involving the Guardians of the Galaxy. There is plenty more to come and Vol. 3 is sure to bring even more possibilities and loose ends that the rest of the Marvel universe can tie into a bow. What do you hope to see happen in Guardians of the Galaxy Vol. 3? Which characters from the Marvel universe do you think will be there? Let us know your thoughts in the comments below.